Opens ZIP files are opened automatically by Safari, so it impossible for you to download Elementor Page Builder as a ZIP folder. 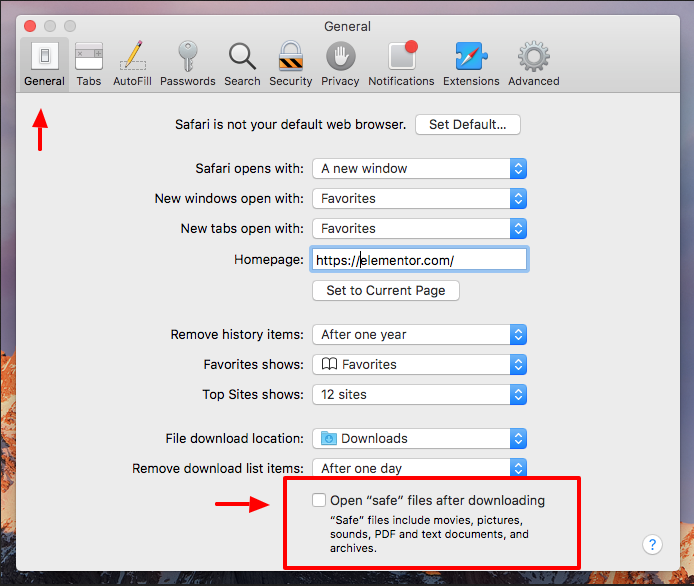 Therefore, in order to tackle this problem, you need to switch on Safari Preferences and turn off ‘Open “safe” files after downloading‘.in General panel. Notice: It is necessary for you to compress and upload as a Zip file.